Trillium Financial Inc. was founded in 2003 to provide emerging growth companies with the benefits of having a full-time CFO without full-time overhead. Trillium principal, Michael Iverson, enjoyed working with a variety clients in the corporate environment at KPMG, but determined that many companies needed more hands-on financial assistance. He found that he could have a significant impact on business growth by providing CFO services. Trillium Financial, Inc. is designed to provide the high level financial services clients need in a boutique environment. Michael is an experienced financial executive with over 25 years of financial accounting and management experience at both privately held and publicly held companies. He has held senior financial and administrative executive positions at American Family Restaurants, Inc., Pediatric Services of America, Inc., Payment Technologies, Inc. (sold to Profit Recovery Group) and ecHub, Inc.
Michael earned his B.A. at Furman University and an MBA at Emory University. He is a licensed Certified Public Accountant in the State of Georgia. 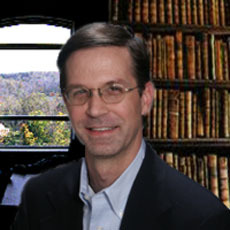 Michael is also a member of the Georgia Society of CPAs, the American Institute of Certified Public Accountants and Vistage International (an international organization serving CEO’s). In Michael’s spare time, he gives of his time and resources by donating, volunteering and serving on the board of directors for New American Pathways, and volunteering with the Atlanta Center for Self Sufficiency (ACSS), all located in Atlanta, Georgia. Trillium Financial donates a portion of the company’s proceeds to these and other organizations. Michael also enjoys spending time and traveling with his family.